The remarkable creature has two tracheas and oesophagi, but shares one heart and one set of lungs. 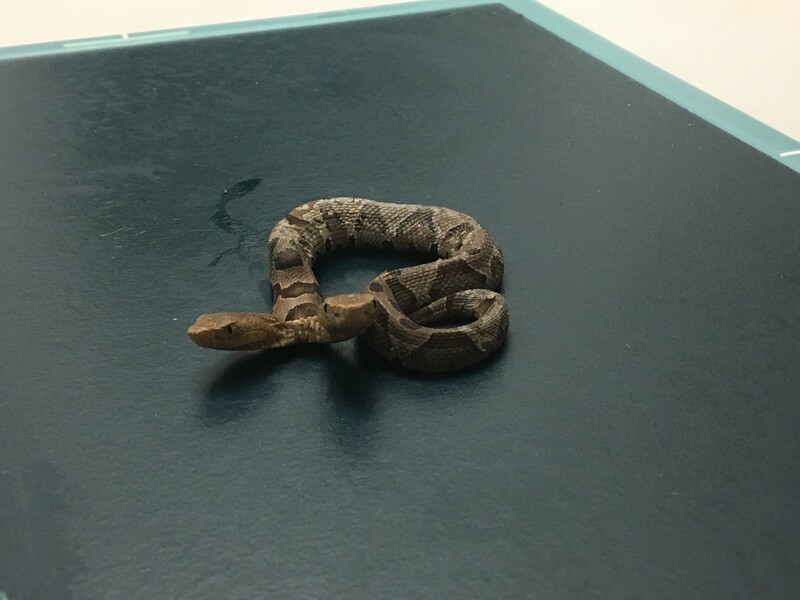 The Eastern Copperhead is just a baby, which is unsurprising as such rare cases don’t live for very long. It was found in a northern Virginia neighbourhood last week. 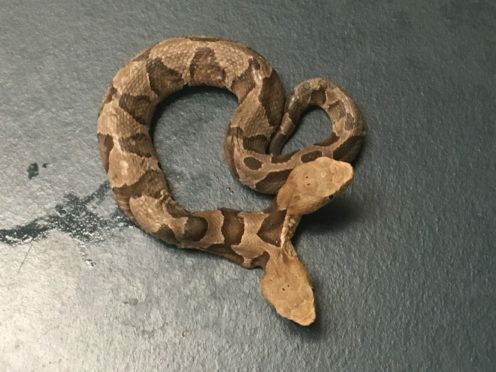 The snake was handed in to the Wildlife Centre of Virginia which said the snake’s left head is more dominant, generally being more active and responsive than its right, which has a more developed oesophagus. 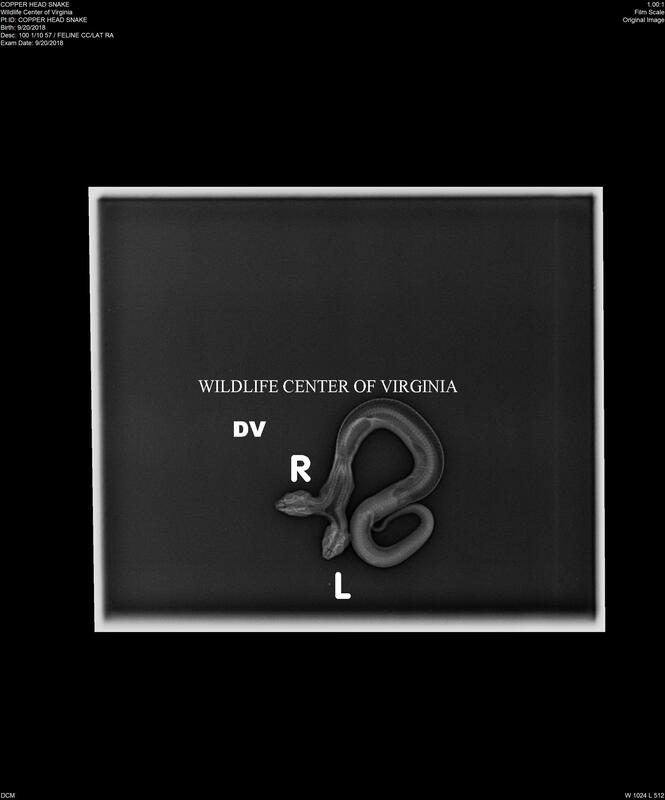 The details of its anatomy can be seen more clearly in radiographs taken of the snake. “Based on the anatomy, it would be better for the right head to eat,” the centre said in a post on their website. 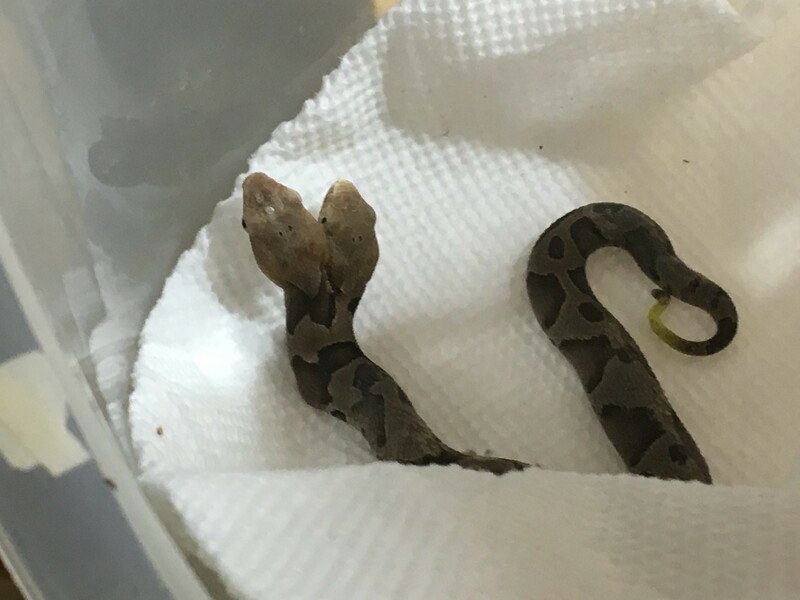 The centre’s herpetologists will monitor the bicephalic snake and if it survives will place it in an educational facility, where it will be more likely to live than in the wild.